With pollution comes the requirement to be extra cautious of your hair as the chances of it getting dull gets higher. Make sure you treat it well. 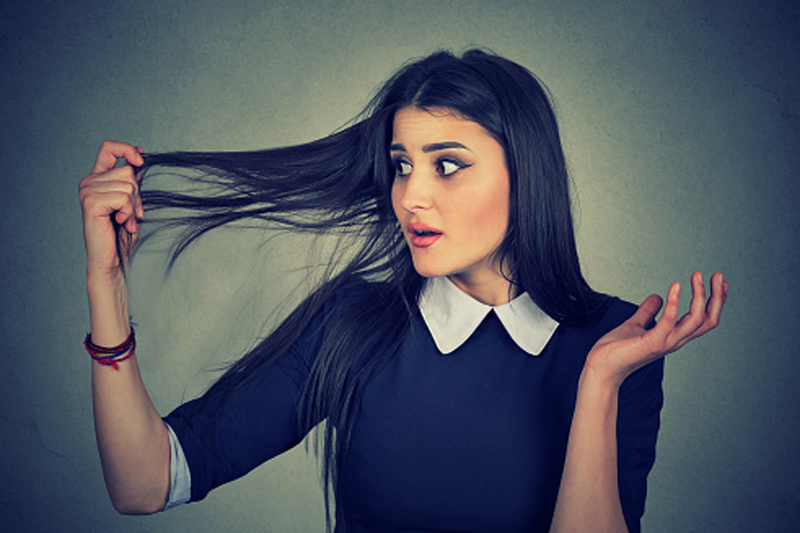 Pankaj Chaturvedi, Director, Senior Consultant Dermatologist and Hair Transplant Surgeon at MedLinks list down some steps to get rid of frizzy hair due to pollution. * Take cover, wear a hat: Always carry with you a hat or hairband to protect your hair from damage. If you really can't help being in a really polluted area, keep your hair covered if you can, (or tie it back). * Wash your hair regularly: Fortunately, pollutants sit on the outside of the cuticle and so can easily be washed off, so in order to reduce the microbial content of the scalp and make it less itchy and prone to flaking, we recommends regular shampooing. For men, alternate days to everyday and for women twice or thrice in a week. * Adjust your styling routine: Hair that has been exposed to excessive amounts of air pollution becomes damaged, feeling brittle and making breakage and split ends more likely. Keep this in mind when using heat from a straighter, curling iron or hair dryer. Minimize the amount of heat you use and always use a heat protecting product. * Add back hydration: When in doubt, hydrate. It's a good rule for your health and your hair. Jojoba oil is one good ingredient to look for as it both moisturises and strengthens the hair's natural hydro-lipid layer, which coats the hair to help keep it hydrated. * Deep condition: Start a deep conditioning routine weekly. Deep conditioners are used to repair damaged hair, penetrating deep into the hair hydrating and repairing it. * Oil your hair regularly and properly: You should regularly oil your hair as it nourishes the scalp, cleanses dirt and dead cells. Almond oil is an effective hair cleanser, keeps hair healthy and facilitates hair growth as it is rich in Vitamin E.
* Step 1- Peel and break the banana and put them into the bowl, mash the whole banana with a fork to get a fine pulp. * Step 2 - Add enough whole milk to thin out the banana mixture. Add two teaspoons of cocoa powder, wisk all the ingredients in the bowl to form a nice smooth paste. * Step 3 - Apply the mask on dry hair with a dye brush, and leave it for 20-30 minutes once a week with a dye brush to get perfect results. * Step 4 - Wash your hair with a cleansing mild shampoo and let air dry your hair. * Usage of right shampoo and conditioner: You should always use a shampoo according to your hair type. If your hair is oily and greasy then you should use oil-free shampoos which will make your hair less oily. For dry hair, you should always use a conditioner or a moisturizing shampoo to protect your hair from frizzing up. * Add extra protection for your hair: You should keep your scalp well protected in terms of both physical protection and nourishment before stepping out of the house. You can use a sunscreen serum or spray to protect your hair from harmful UV rays and toxins.